Aid workers said they will help people at makeshift camp known as The Jungle make the six-mile supply run into Calais .Charity groups in France have been slammed for handing bikes to migrants hoping to break into Britain, writes Patrick Gysin in the Sunday People . Aid workers say they will help people at the makeshift camp known as the The Jungle make the six-mile supply run into Calais. But critics warn it will also make it easier for them to reach Channel Tunnel terminals and ports for the desperate nightly bids to reach the UK – which can prove fatal. It is believed around 1,000 bikes have already been donated and volunteers are teaching the ­migrants how to maintain them. Folkestone MP Damian Collins said: “If people are really giving them the equipment and helping them fix the bikes then that is wrong and it shouldn’t be happening. I heard a story of migrants ­trying to swim to the UK. 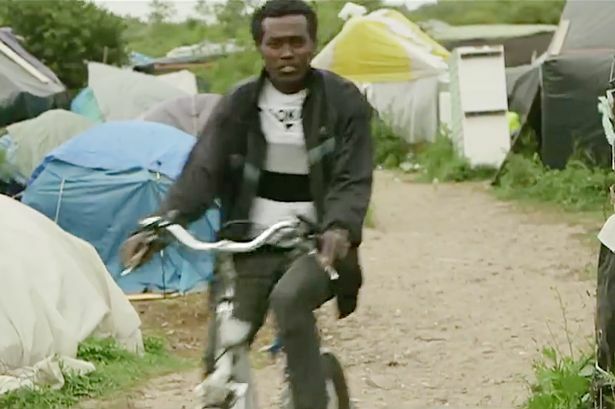 More than 5,000 people from Africa, Asia and the Middle East are thought to be living in the ramshackle community on the outskirts of Calais. Aid ­workers say living conditions there have deteriorated rapidly in the past few months with a lack of food, blankets and shelter leading to growing tensions.